The newest comic book superhero to make a transition to the small screen is the Flash. 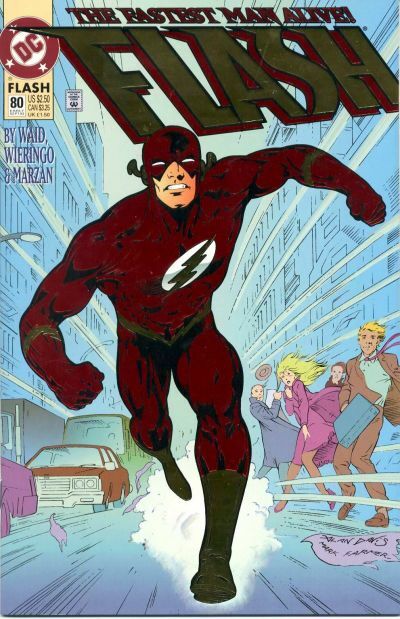 In celebration of the “fastest man’s alive’s” new television show, for my Gimmick or Good feature at the Comics Should Be Good blog, I thought I’d take a look at Flash #80, a key issue in the Mark Waid run on the book in the 1990s. This issue sports a shiny foil cover. But is the comic itself good regardless of the cover?